Do you work with challenging children and families who seem absolutely resistant to every strategy you try? You want to guide them to a breakthrough but they shut down, meltdown, or act out... there is a disconnect between your client and your therapeutic approach. When words are not enough, art can be the bridge to mental, physical and emotional well–being. By utilizing art in therapy, you can blend cognitive behavioral skills, art-making, and creative problem solving to help clients create individualized social, emotional, and behavioral interventions that stick in their brain. 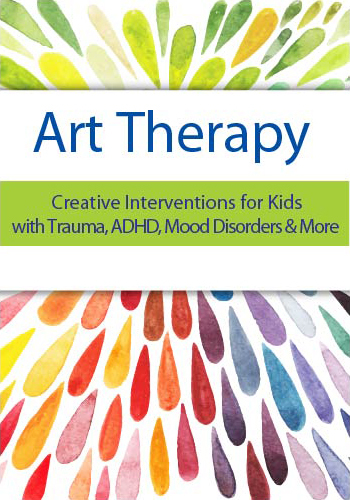 Now, this revolutionary course gives you step-by-step instructions to implement fresh new art strategies and approaches into your practice to help children regulate their emotions and behaviors formed by their struggles with trauma, ADHD, ASD, ODD, Anxiety, or Mood Disorders. You will understand when & what art supplies to use, how to recognize when your client needs more support, how to reel back when you have pushed them too far, and language you can use to talk about what your client's art creations are reflecting. Re-energize your work with this dynamic, intervention-packed training and gain 77 approaches you can use immediately in your practice for continued growth! Bonus! Register today and get a FREE PDF Workbook filled with 250 additional therapeutic art techniques! Plus, earn up to 6 CPD hours included in the course tuition! In five in-depth video modules, you'll explore the essentials of utilizing art in therapy, practical techniques to implement it into your practice, and gain 77 fresh art strategies and approaches that you can use immediately to engage even your most difficult and challenging clients. Walk away with step-by-step protocol that you can begin using immediately to help children regulate their emotions and behaviors and thrive in life. Get started today! Creative, fun & fast therapeutic warm-ups! When a client walks into the therapy room they don’t know what to expect — they may be feeling anxious, unsure and perhaps fearful. Brief, art therapy warm-ups are the perfect way to break the ice and get clients feeling comfortable, less inhibited, and motivated to participate in individual or group therapy. These unique 250 art exercises, based in mindfulness, CBT, and self-compassion, increase self-esteem, self-awareness and a feeling of success in artistic expression and communication, allowing clients to engage in therapeutic exercises without judgment. Using simple materials like paper, pencils and markers, these techniques can be immediately implemented in your practice to help your clients with anxiety, stress, low self-esteem, relationship issues, life changes and more! Get to Know Your Speaker — The Creativity Queen! Laura Dessauer, Ed.D., ATR-BC, is a board certified art therapist with a doctoral degree in counseling psychology working with families for 25+ years in over 21 school districts. Dr. Dessauer’s work has been included in Parent’s Magazine, eHow Parenting, YourTango, FoxNews, PBS “This Emotional Life”, Lifetime Network, Working Mother, and Psychology Today. Dr. Dessauer is contributing author of “Healing with Art and Soul: Engaging One’s Self Through Art Modalities” (Cambridge Scholars, 2009). She has presented at the Eighteenth Annual National Expressive Therapy Conference, National American Art Therapy Association 40th Anniversary Conference, and American Art Therapy Association Institute for Creative Education in Art Therapy (ICE/AT), and has created international online training courses for therapists. 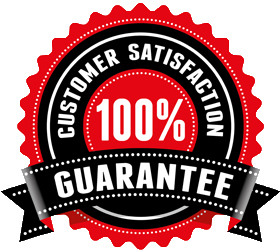 Watch your email for an order confirmation with the account access link to get started on materials instantly. View any of the video modules at your convenience with immediate entry into the online portal. You'll have unlimited access to all the materials, and you can download everything to keep for future reference! Plus, use the CE21 Mobile™ app to access the course content on-the-go, wherever and whenever you want on your mobile devices. Complete your CPD tests online at the completion of each module, with instant access to your CPD certificate - earn up to 6 CPD hours.